Lately I've found myself living in yoga pants -- well workout clothes in general. Not kidding. I wake up, workout, shower and just put workout clothes back on for the day. 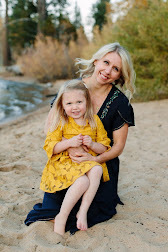 I spend my days working from home, playing with the baby, walking the dog and running errands -- and it's just easier. However, now that I live in workout apparel I've realized I need more. You can never have enough -- although my husband would disagree. Anyway, without going out and dropping some serious cash on new gear I've been slowly building a "workout" closet without breaking the bank. So how did I do it? 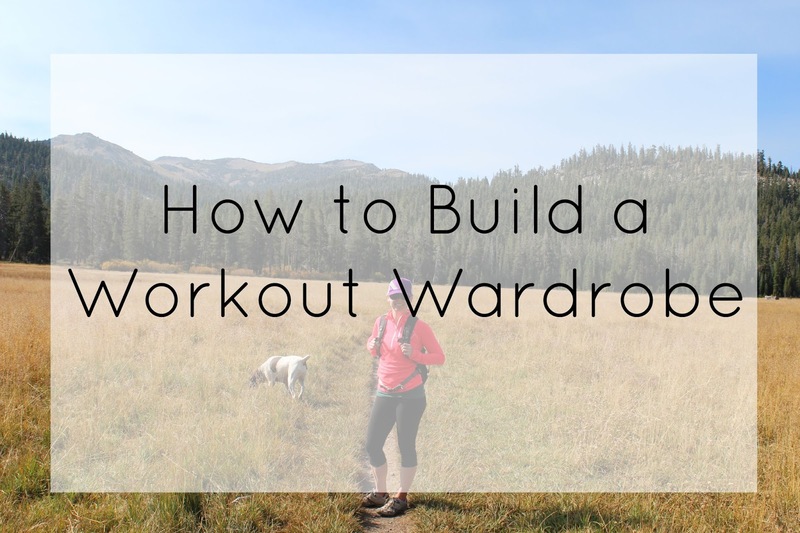 Below are five ways I've built a workout wardrobe I love. It just takes a little time. This is key. How do you know what to buy if you don't know what you need. Living in Tahoe I'm forced to do a lot of online shopping so knowing what size I wear in various brands comes in handy. I always put workout gear on birthday and christmas lists too! I refuse to pay full price for anything. Shopping often whether online or in store helps you snag a good deal. Also if you try on items in the store you can always purchase online when it goes on sale. With that said, don't buy something just because it's a good deal -- you want to make sure you'll love wearing it. Slow and steady wins the race. You don't want to buy everything at once because guess what -- you'll have to replace everything at once. Unless you are getting each item for $5-10 space out the purchases. I've found some great deals -- like a $50 Moving Comfort sports bra for $12.99! Personally I'm not bias when it comes to brands. Yesterday I wore North Face capris, a Rebook tank and sports bra from Target. Today it's Zella Leggings (BTW -- you need these today!) and a tank from Fabletics. I'm all about mixing high and low items. Fabletics is nice because you can get a whole outfit for on $49 -- that's $25 a piece. It's a monthly service, but you can opt out whenever you want. Each month they add new outfits making shopping fun. Wantable is a bit like Stitch Fix, but you can get workout clothes! #winning. Their Edit service includes Style and Fitness. It’s a personal shopping service for apparel. For a $20 per month styling fee, one of their Style Editors will handpick 5 items for you to try on at home. Take 5 days to try on the items to decide what you love and what you’d like to return. You’re only billed for what you keep, and they include a return label to make it easy and convenient. Style and Fitness Edits are currently only available for U.S. customers. Some of my favorite workout gear includes The North Face, Under Armor, Rebook, Moving Comfort, GapFit, and Nike. Shop my recent purchases and short wish list below. What's your favorite piece of workout apparel? I love Fabletics! When it comes down to it my favorite stuff though is the Old Navy Dry Fit Tanktops. They always go on sale at the end of the summer, great time to stock up!